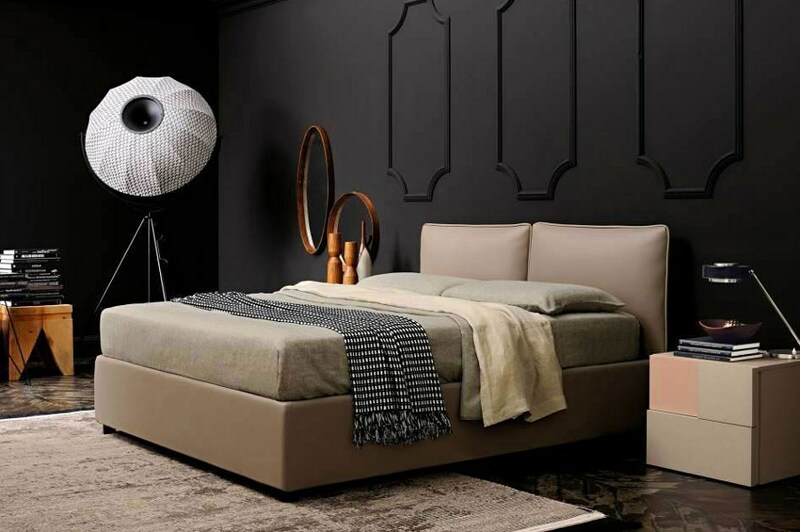 Black and dark colors in general are not the most popular choices in bedroom design but if done right the use of black color can add to the elegance and even luxury of the interior design. 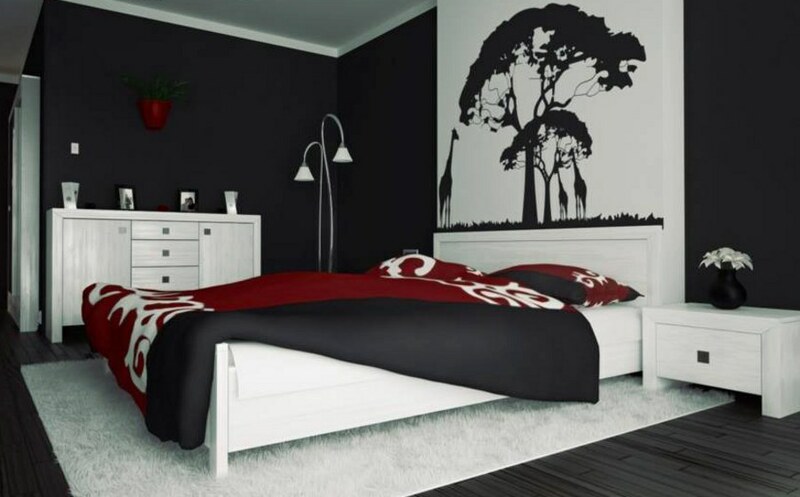 So here are 11 designs that we think got the use of black in bedroom decor done right. The first design has gone all black including the furniture, the walls and floor tiles. However it does not seem overwhelming as the bright rug offers some contrast and the use of white sheets brings it all to the balance. 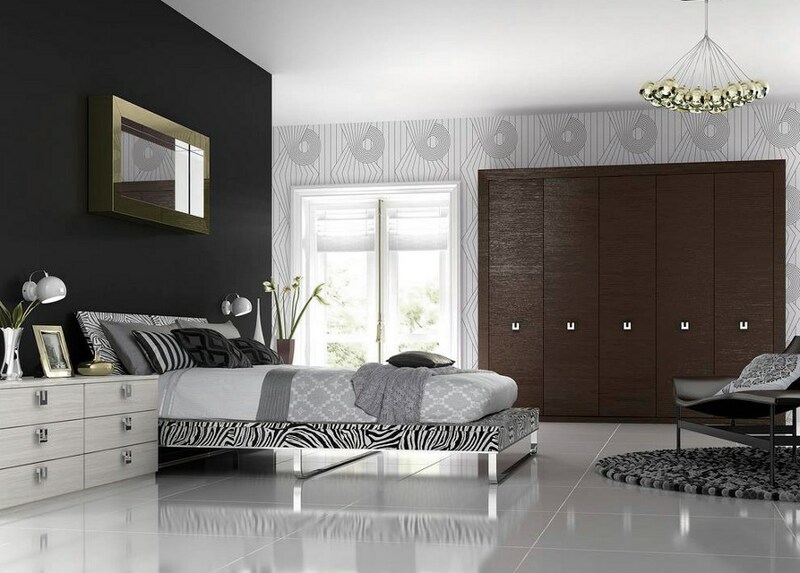 Less black in this design and it even goes more to the brighter side but the use of black makes this bedroom look very elegant. 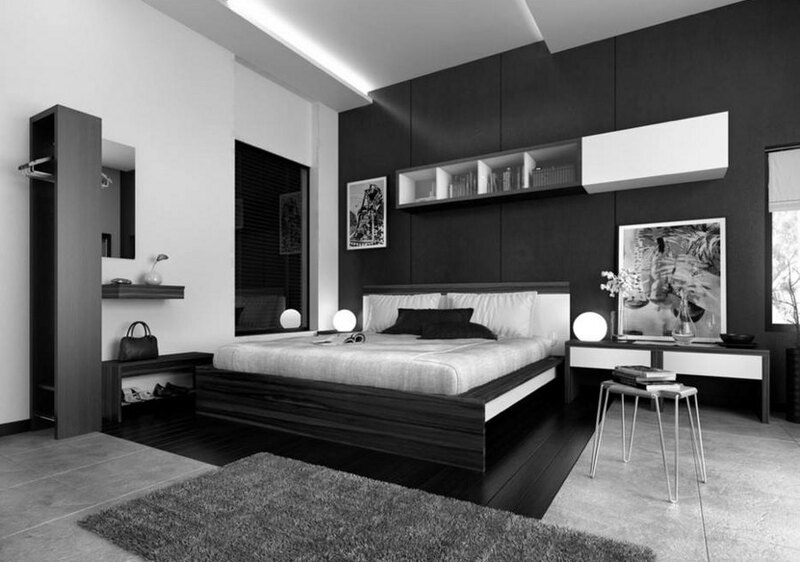 The black and white picture is done to emphasize the theme of this room, monochrome colors create a very modern yet elegant look. This is one of my favorite bedroom designs. The decorative fireplace really creates a very cozy feeling and the hanging egg chair nails it down. 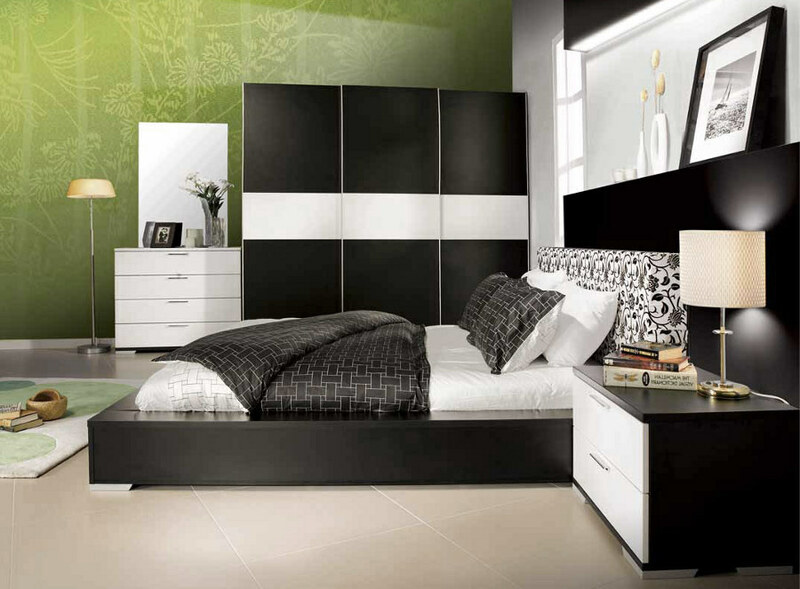 Floral patterns in black design are very stylish and will always work in bedroom design. 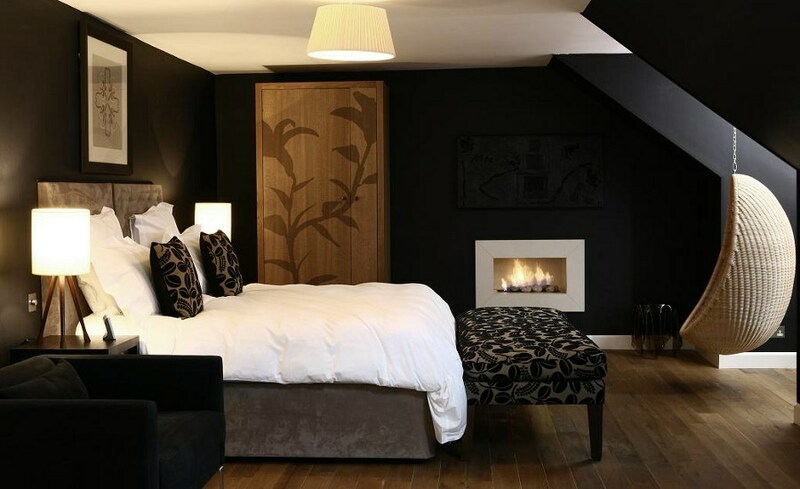 Completely dark walls and bright furniture are used to create the ultimate contrast in this bedroom design. You can also use wall art to bring the message across and adding some red to an all black design is a very nice touch. More floral patterns and contrasting colors, although I’m not a big fan of the wooden flooring in this design. 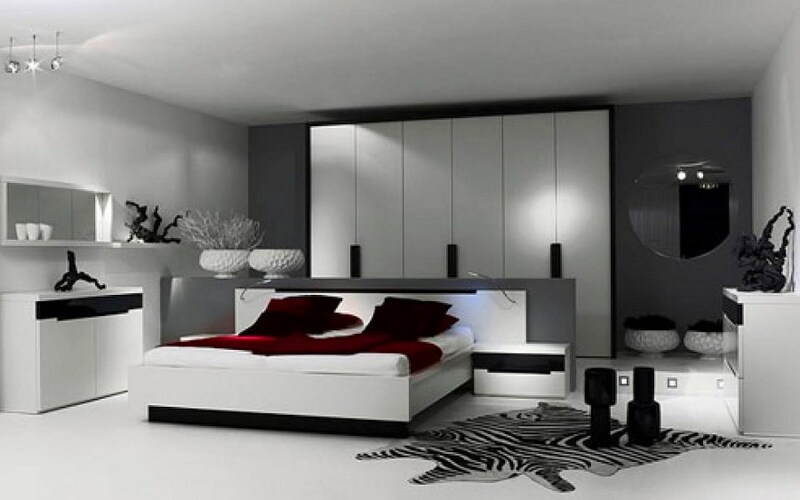 Adding some more color to a black and white decor works really well too. The vibrant green creates a very nice contrast in this design. Or you can add the luxurious purple. This is a very nice design, indeed. More zebra patterns in another black and white design. Notice the red pillows and throw blanket. Red is not mandatory as you can use absolutely any colors for your sheets and pillows in this kind of room decor for a quick change of things.